Home » Industry News » Castle Creations Celebrates the Kansas City Royals Getting to the World Series for the First Time in 29 Years with FREE SHIPPING! It’s been 29 years since the Kansas City Royals played in Major League Baseball’s World Series. To celebrate this exciting achievement, Olathe, Kansas based Castle Creations is offering their customers free shipping on all online orders of $29.00 or more. To take advantage of the offer, simply enter the code “CASTLE29KC ” at checkout. Whether you fly fixed wing models, electric helicopters, multi-rotor aircraft or surface based vehicles, Castle Creations has you covered. 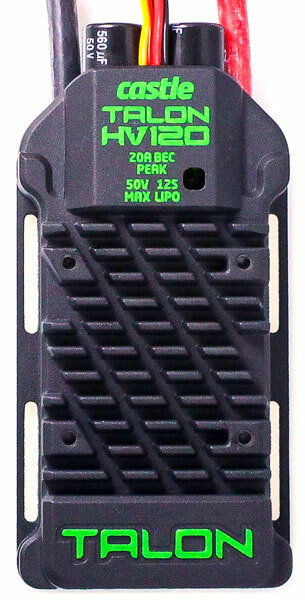 Their legendary electronic products are quality engineered for maximum performance. 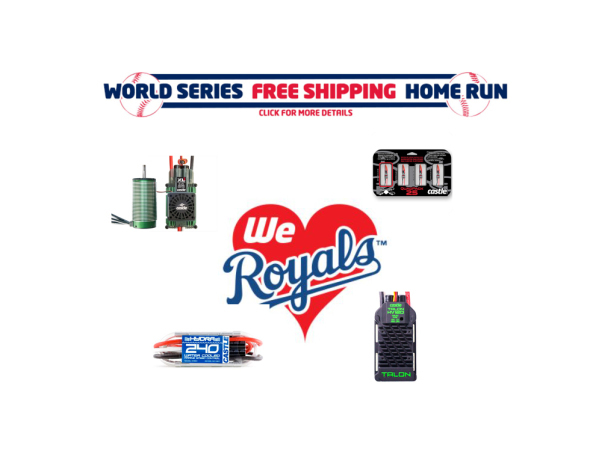 But don’t delay– the Castle World Series Free Shipping Home Run ends at midnight, Oct. 29, 2014. Head on over to Castle Creations’ online web store and take advantage of this offer now. NOTE: To receive free shipping, your online order must be greater than $29.00 and the code must be entered when you place your order.